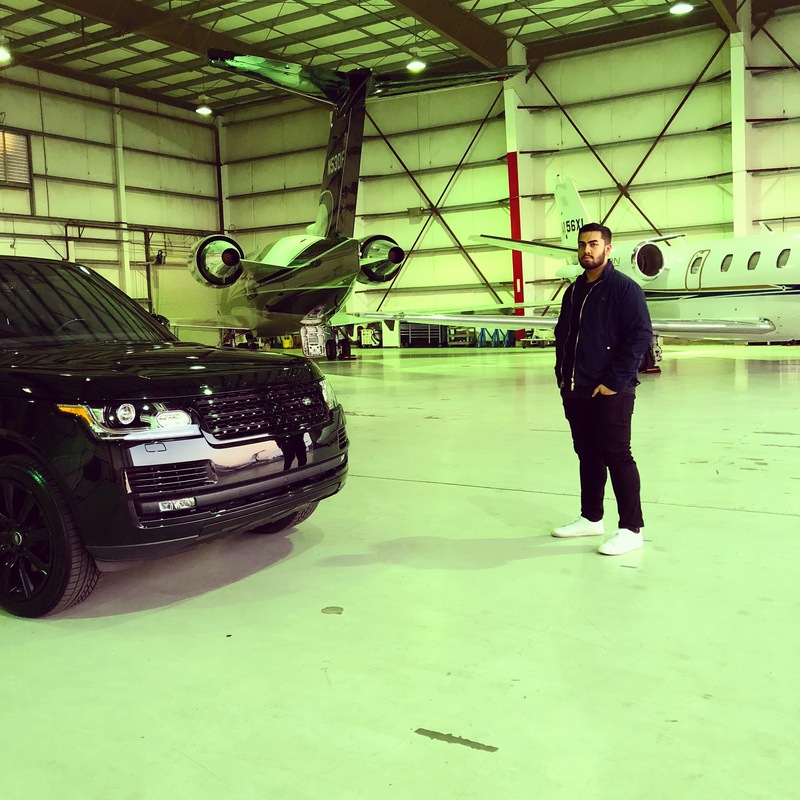 He started his first company at 16, dropped out of college at 19, and went on to build a Multi-Million Dollar empire by 20. In a nutshell – this Boston native is obsessed with starting cutting-edge empires and disrupting the status quo of industries stuck on old ideologies. At the sight and sound of his name, you might immediately assume Zain Jan is the prodigy in a long and successful familial line of politicians, CEO’s, and royal ancestry. However in reality he is far from all of those things. Now 23, the self-made millennial has 100+ employees helping him carry forward his vision of a fully renewable Earth and his company is ranked amongst the best places to work in the United States. We can’t help but wonder… What could this college drop-out possibly be working towards next? In this interview we sought out to answer that question and get his insight on common challenges that other young entrepreneurs face. So Zain, when did you know you wanted to become an entrepreneur? Basically ever since I could walk. My parents, two tirelessly working immigrants, settled in America to achieve a better life. This dream however was no easy task. From within the rotting four walls of our 600 square foot apartment, my mother and father instilled in me from young age that the true path to success is putting your nose to the grindstone and always keeping your eye on the next major milestone. This led me to never be content, and always being hungry to succeed. From a young age I’ve always been trying to make money, whether it was doing chores around the house, or reselling baseball cards. I made a decision to help get my family out of our situation, and I would do anything to make sure my family didn’t have to live a life where they had to work 80 hours a week, and just barely get by. Being an entrepreneur seems to be a popularized persona that just about anyone calls themselves. What does being a true entrepreneur mean to you? What are 3 Successful Strategies you would recommend to anyone looking to start their own business or company? Establish Communication with society. What I mean by this is to go out there and meet and talk with people. Make it a two-sided conversation. Ask people about their problems, really listen to them, and help them out. It’s amazing how helping others can help you find answers to most of your problems. A lot of times as entrepreneurs we take pride in doing things on our own. However without guidance and feedback of other individuals it makes it impossible to succeed. Get out there and communicate. No matter what be an optimist. In business there are lots of ups and downs, and if you don’t stay optimistic you will quickly fizzle out. Starting a business is not about winning right away and making money quickly. It’s about wearing through the storm and sticking it out in the long term. In order to stay in business the longest you need to stay positive and make an abundance of decisions, do not let fear of failure break you down. Promote. No matter how good product your product is, even if it was the best of its kind, no one will ever buy it if you don’t promote it. All successful businesses promote their products like mad. They do this when they’re selling well and when they’re selling not selling well. Most entrepreneurs focus on perfecting the product and stop before perfecting promotion. The moment you fail to promote, you are dead in the water. The degree that you are known is is the degree that your business is alive. No matter what, never stop promoting. What would you say to someone that is in fear about leaving their job to follow their dream? Just go do it. You can never base your decisions on what other people think or what scares you. If you don’t take the chance you will never know what will happen. So take the chance and do it. If I listened to the people around me or made fear-based decisions, I never would have achieved the level of success that I have. For you, if happiness is working a 9 to 5, then work a 9 to 5. If happiness is running your own company, then go do it. But whatever you decide make sure it’s what you actually desire and what will make you happy. What tips would you give a shy person on networking? Same answer. If you’re scared to do it, don’t let that stop you. There is no better feeling than doing something you were scared to do, so just do it. Your network is your net worth. Success is about establishing connections with people, and meeting new people and building relationships is one of the most exhilarating things to experience. I try to consistently create bigger problems. I once had a mentor ask me what my biggest problem was. I said something cookie cutter and small. He asked “Do you know what Elon Musk’s biggest problem is? It’s going to Mars.” That shifted my reality completely and made me realize I needed to be thinking bigger. The moment you do not have a bigger game or a bigger problem to overcome you start to become complacent – which is the dangerous state for an entrepreneur to be in. Never stop growing, and act as if you can never be satisfied. I’m consistently hard on myself, I never like to think I did a good job. Because the moment I give myself credit is the same moment I stop striving to be better. People say be grateful for what you got. That is equivalent to saying stop improving your situation. I say be grateful for never being satisfied – THAT will pay you back way more than what you sacrifice will. What fear or insecurity have you overcome and how? My biggest insecurity was being myself and telling people what I thought. I was afraid that people would judge me, and I feared that I wouldn’t fit in. It’s quite funny because if I didn’t say what I thought then I would never have been able to lead people. A true leader speaks their opinion and let’s the world know what their vision is. I overcame this insecurity by saying what I wanted to say respectfully and always being open to the perspective of other people. Out of all the different industries you could have broken into, why Solar? I remember Warren Buffett once saying “Energy deregulation will be the largest transfer of wealth in history”. That really caught my eye and caused me to look into this industry. I always knew that if I was to become successful that I would have to solve a really big problem. I thought about this and realized what an incredible problem it would be to solve the world’s energy crisis and climate change. If you think about it, there isn’t really a larger problem to solve. I am pleased with the progress of our initiatives and our results so far, and am enthusiastic about the dent we will be making in this problem in the near future. What’s in the works for 2019? In 2019 the name of the game is ever-increasing promotion. We will be reaching our target audiences at levels we’ve never reached before. Through stores, online, face-to-face, community activities, franchise partners and much more. In 2018 we built a phenomenal culture of hard-working individuals that constantly step up their game – and we were named one of the best places to work in the United States. In 2019 the goal is to establish greater communication with our customers and further increase the acceptance and technology of Solar to greater and greater heights. For myself I plan to develop my personal brand and share my voice with the world. Through the inspiration and positive changes that I know I can create in people, I can continue to help economies grow and give everyone the opportunity to have what they desire. Instagram, Facebook, Twitter and Linkedin.